The largest offering in its class, Mystic’s 38-footer is also the most luxurious. When Mystic Powerboats founder and owner John Cosker announced in late 2017 that he was getting into the outboard engine-powered sport catamaran game with a 38-footer, more than a few eyebrows raised. 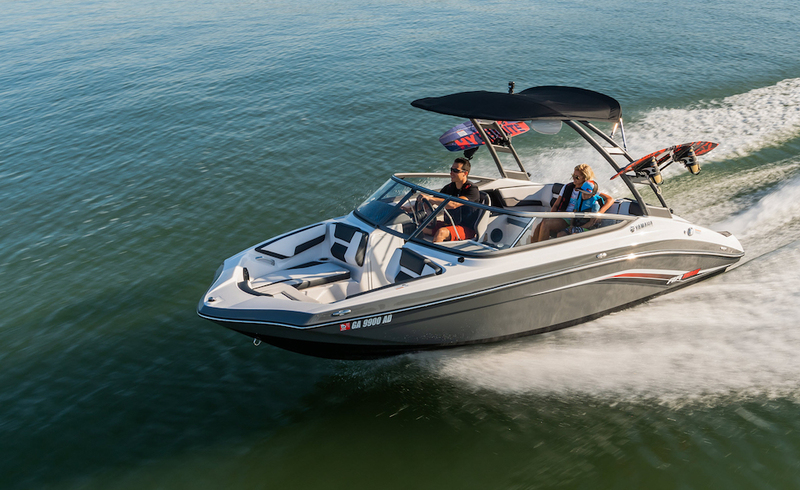 Prior to the release of the C3800, which debuted at Super Cat Fest on the Lake of the Ozarks in Central Missouri last month, the largest model in the sport cat class was the Wright Performance 360, a 36-foot stunner that is the product of a collaboration between Doug Wright Designs in Melbourne, Fla., and Performance Boat Center in Osage Beach, Mo. Skeptics thought a 38-footer would be too big and heavy to make the most of standard power for the class, which is a pair of Mercury Racing Verado 400R outboards, and reach its expected 120 MPH top speed. And in that one narrow metric—top speed—they were right. Cosker has been able to coax the cat to 102 MPH and no more. 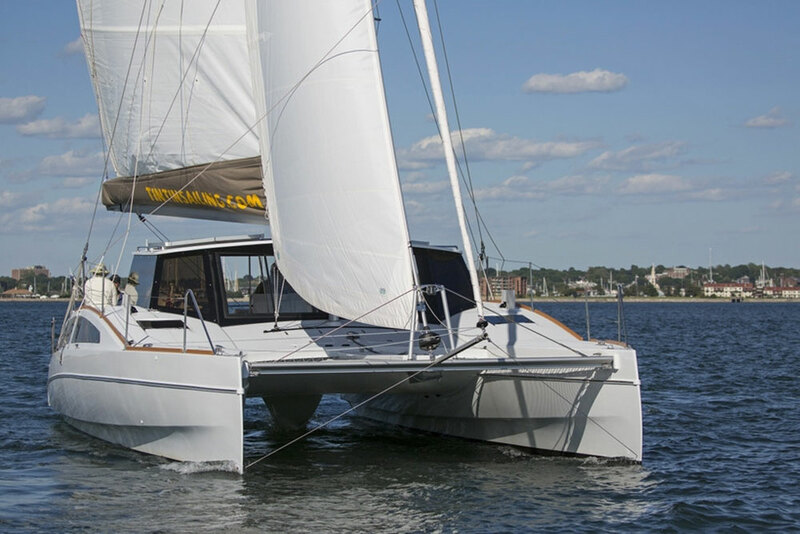 While it isn’t the fastest offering the outboard-powered sport catamaran class, Mystic’s C3800 could well be the most comfortable. Photo by Pete Boden/Shoot 2 Thrill Pix. 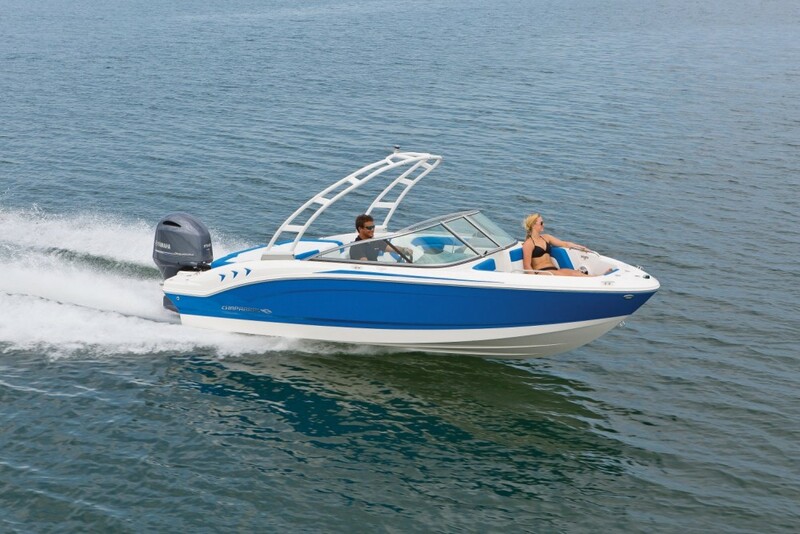 So if top speed is everything to you, the Mystic C3800 isn’t your boat. But if you want something that can take on rough water and can handle a crowd, you’ll want to give it a serious look. During the Super Cat Fest, Grant Bruggemann, an offshore powerboat racing veteran who currently throttles for the Cleveland Construction team and owns the famed Grant’s Signature Racing rigging shop in Bradenton, Fla., ran the C3800 on the Lake of the Ozarks. The water was its typical mess of conflicting cruiser wakes and wind chop—a whole lot of energy with no place to go. And the 38-footer handle that stuff like no other sport cat we’ve encountered. The ride was soft and stable. The boat didn’t get pushed around by cross-chop and side-wakes. It was, in a word, smooth, which the same word Bruggemann used to describe its handling. 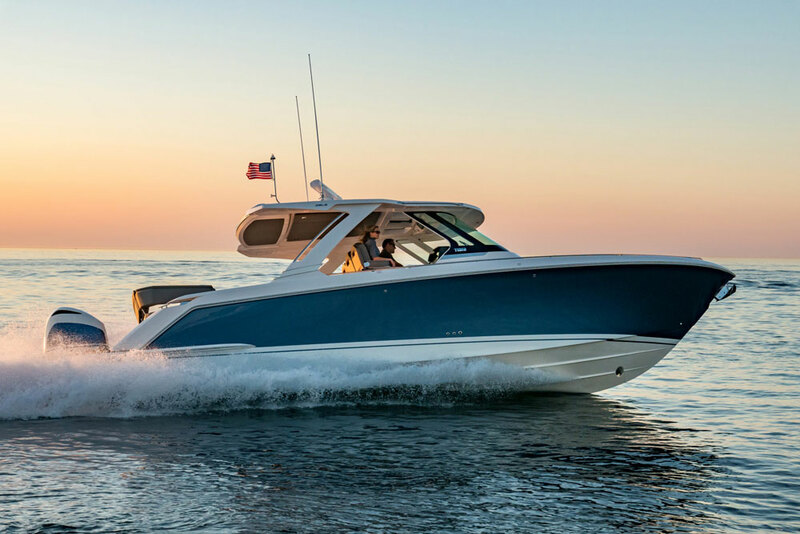 Where sport cats are five- to six-seat hot rods with tight confines, the Mystic C3800 is more of a spacious performance-oriented SUV, the kind of boat you’d want to spend time just floating in. That’s just not the case with most sport cats. 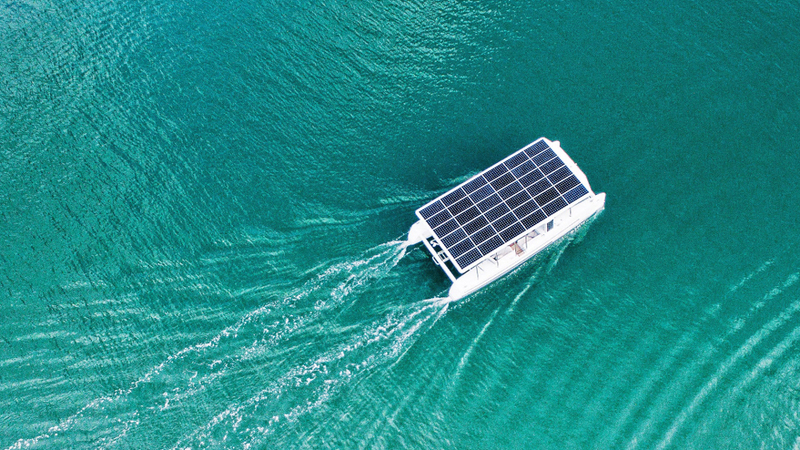 They’re meant to be enjoyed while they’re zipping across the water, not standing still on it. While the DeLand, Fla., company offers the boat with various seating configurations, the one we ran had high-back bucket seats for the driver and copilot, a pair of jump seats and a slick little convertible lounge that could be set up for forward- or rear-facing duty. 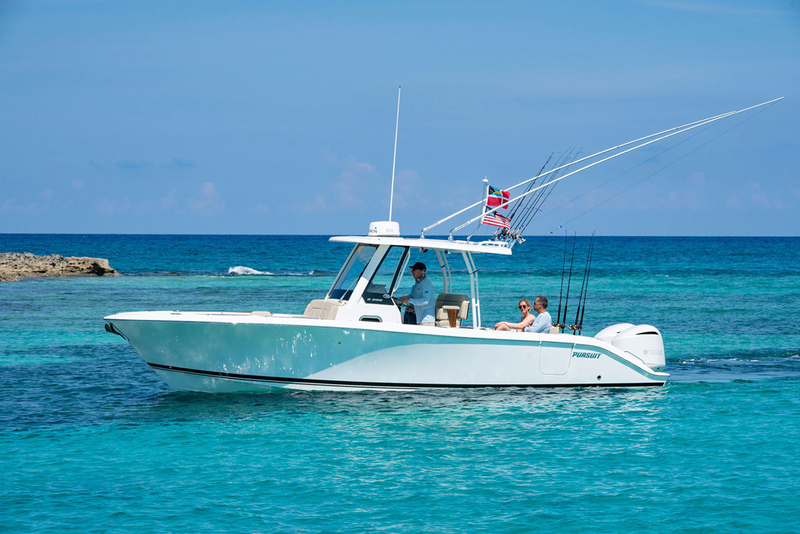 Access to the 38-footer’s usable swim platform, a feature most sport cats don’t even have, was unrestricted. Without question, the C3800 has the most cockpit space of any offering in the sport cat class. And that makes it great for would-be buyers interested in a sport cat that will be used for more than hot-rodding around any given waterway. The tradeoff, of course there always are trade-offs in the go-fasting boating world, is top speed. As previously noted, the C3800 is far from the fastest boat in the class. But it will get faster. Hulls No. 2 and No. 3—the ran the first one built—are going to be significantly lighter. 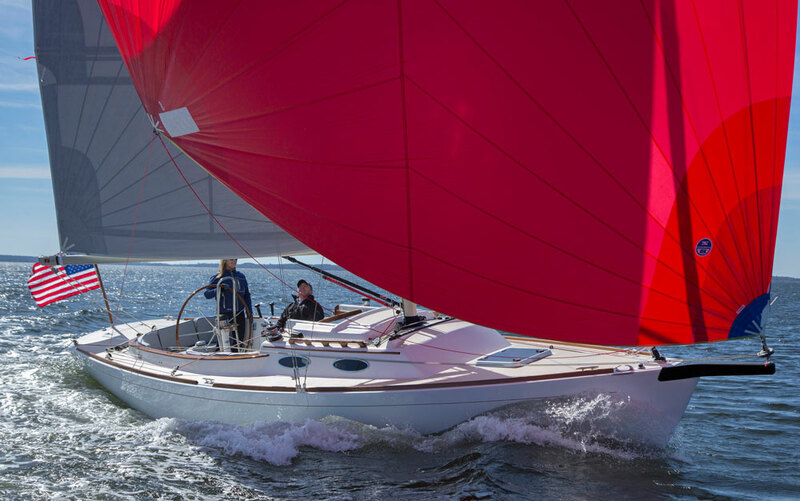 Still, with its 38-foot hull the C3800 will retain its ride quality, handling manners and spacious cockpit. Chances are good that it never will be as fast as its smaller and lighter competitors. And for buyers looking beyond top speed and into comfort and increased functionality, that should be just fine.